Werner Aisslinger and Tina Bunyaprasit have designed "Rolf Benz ADDIT" - a sofa that translates craftsmanship into a highly contemporary language of form. Werner Aisslinger explains the design in an interview. 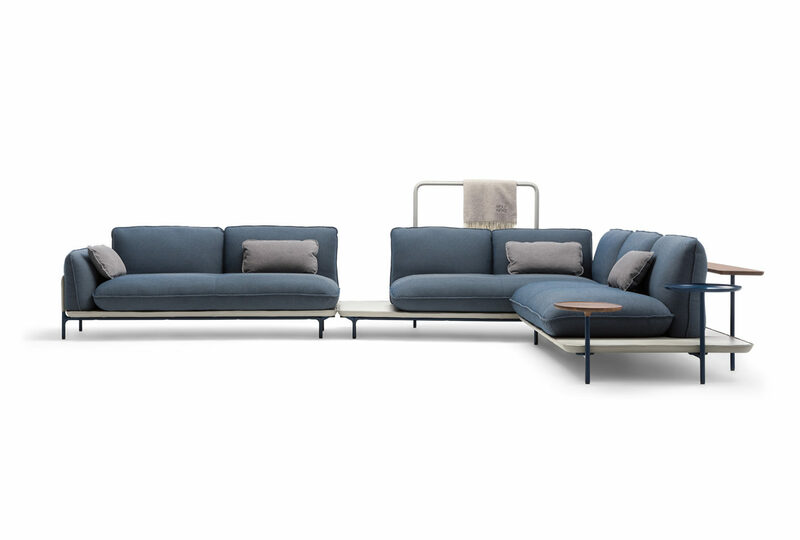 Fabian Peters: Next week "Rolf Benz ADDIT" will celebrate its premiere at the Salone del Mobile in Milan - a new sofa with matching tables and carpets. How did the collaboration with Rolf Benz come about? 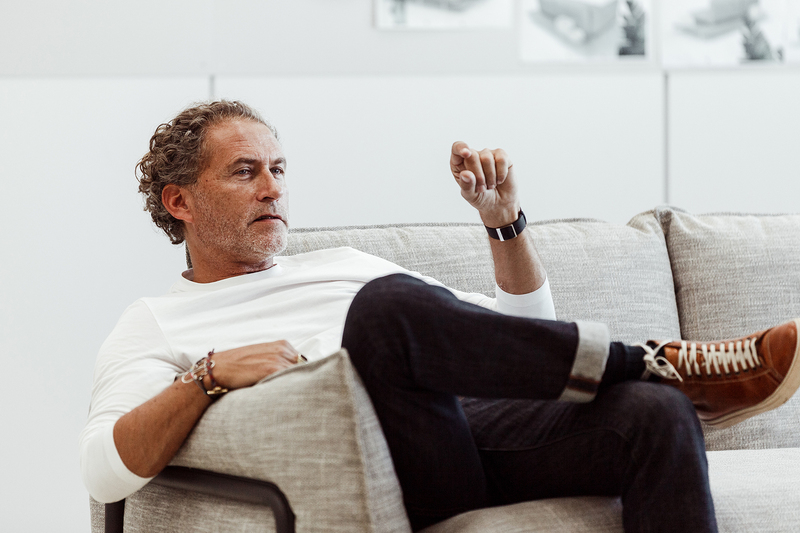 Werner Aisslinger: My time with Rolf Benz goes back a long way: At the end of the 1990s, back when I was a young designer, I was first invited to visit the plant. Although this did not result in collaboration. 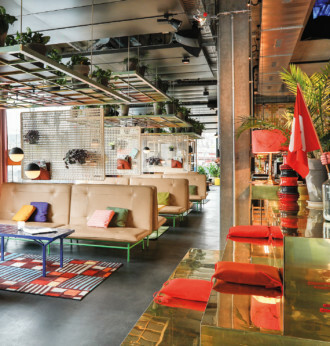 It was not until two years ago when together with my partner Tina Bunyaprasit I designed the Hotel 25hours in Zurich that an opportunity arose for collaboration. We needed a leisurely, deep leather sofa for the bar, but one with a high backrest. 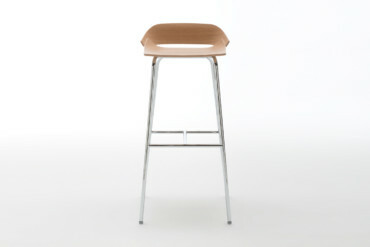 There was no such product on the market and we therefore resolved to design one ourselves. When hunting for the ideal manufacturer we swiftly hit upon Rolf Benz. And they immediately agreed to team up with us to realize the project. The collaboration was truly simple and the result incredible. That’s what is so typically Swabian, I guess, the precision. Nothing whatsoever was done by half. Shortly afterwards, the Rolf Benz management rang and said: "We could try doing a product for the collection together." What sort of product did Rolf Benz want from you? Werner Aisslinger: I still rave about how professional and precise the briefing was that Rolf Benz provided for the new sofa. At the same time, they left all the different possibilities open. The briefing described a favorite place, a place for the weekend, for breakfast and for watching movies, but also for your home office; reduced, but also soft and comfy. Management really wanted attention paid to the finishing, to the product being discernibly hand-made. 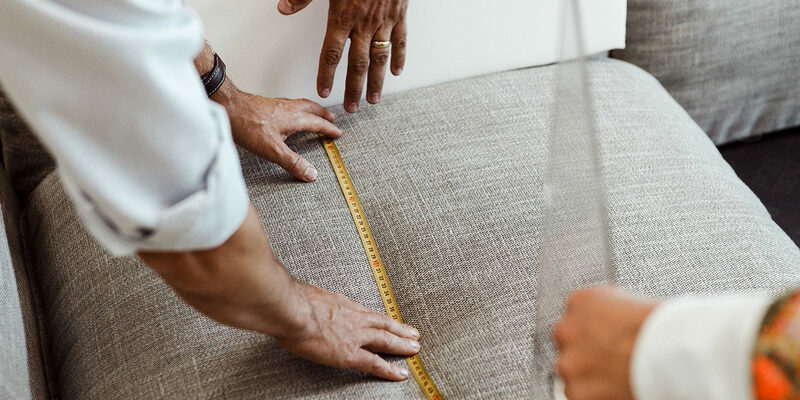 Because the focus is of course always on the fact that all Rolf Benz sofas are made in Nagold at the edge of the Black Forest. Something that even the details should reveal. What was your approach when designing "Rolf Benz ADDIT"? What sort of impression, feeling did you want the sofa to convey? Werner Aisslinger: Tina and I certainly did not want a sofa that made you feel as the owner as if it was telling you what to do. That seems to say: Sit straight! Perhaps that is why from the outset we had in mind really cuddly, really soft, crowned cushions. Not ones that are always smoothly taut and have no folds, that always seem straight-edged and overly Teutonic. Rather, we were seeking a more leisurely look for the cushions, irrespective of whether they had leather or fabric covers. This soft world of cushions was supposed to be held in place by a linear frame so that the sofa did not simply flow away and morph into an undefinable block of foam devoid of contours. And last but not least, we had the feeling that "Rolf Benz ADDIT " had to create the impression of floating. It doesn’t sound that easy translating all those wishes and ideas into a single design. What solution did you come up with at the end of the day? 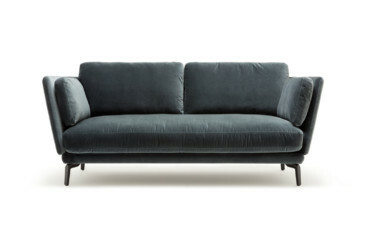 Werner Aisslinger: The sofa is essentially defined by four key design elements: the frame, which consist of metal tubes; the extremely slender, leather-covered base plate that rests on the frame; the side braces that embrace the cushions, and of course the voluminous seat and backrest cushions. Key in what is actually a very simple stacking system is of course to make sure everything in the design is thought through with great precision and the realization is flawless. Thus, for example, for the transition from the horizontal tubes of the frame to the side braces we created a highly elaborate piece made of cast aluminum as we didn’t want to conceal the sofa’s structural elements and instead emphasize them. What function does the thin, leather-covered base plate have? 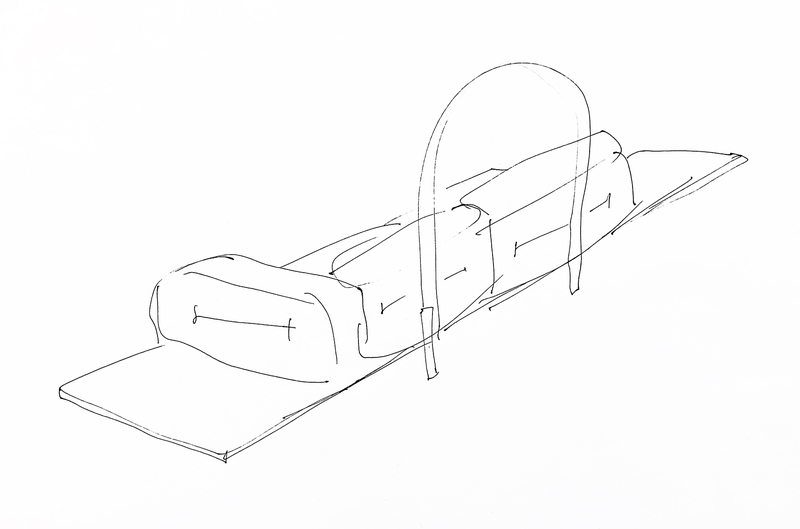 Werner Aisslinger: The thin base plate optically creates the floating impression that the sofa is supposed to convey. Only with this three centimetre thick, leather-covered base plate does the sofa look so minimal, so floating, so graceful. At the same time, it is statically an important part of the construction: despite the filigree frame, we can achieve an enormous span. "Rolf Benz ADDIT" can be configured in all manner of ways. One special feature: components can be added and slotted on. Werner Aisslinger: It was clear from the outset that "Rolf Benz ADDIT" should also be able to provide storage space and rests. We relied on the sofa’s tubular frame here. Into which you can slot side-tables or shelves, thus upgrading the sofa into a veritable “Landscape”. In principle, there are almost no limits to what you can do. Luminaires, pockets for magazines, accessories – all of that is conceivable. How did you take up the brief to ensure the sofa’s hand finishing was clear to see? Werner Aisslinger: We designed countless beautiful details that show precisely this high-quality finishing. First up, there’s the slender base plate that is always covered with leather. Then the side braces are also shrouded in leather. The fantastic seams alone are artworks in their own right, attesting to the incredible high-grade finishing that Rolf Benz achieves. And the slot-in side-tables with their stone, glass or wooden tops and the attachable oak shelves – they are all of an exceptional quality. The same applies to the two small tables and the four carpets, which also belong to the "Rolf Benz ADDIT" collection. Did you have a particular target group in mind when you started thinking about the design? 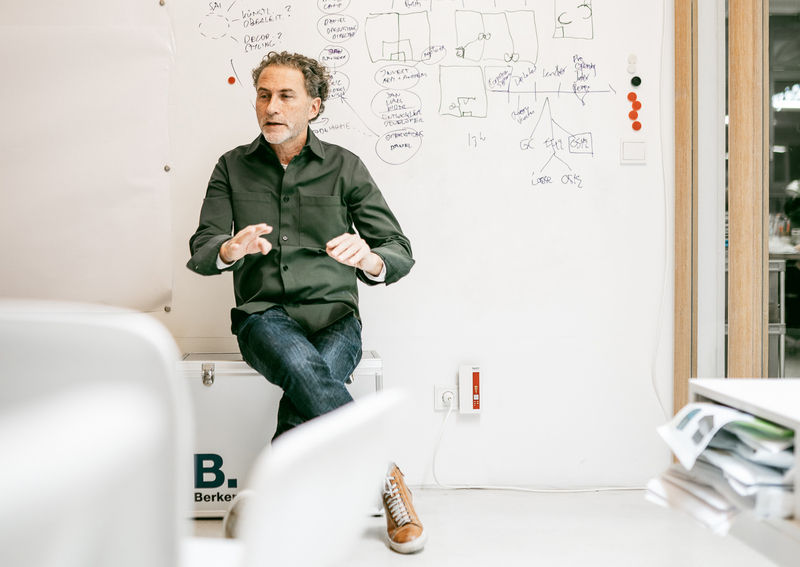 Werner Aisslinger: As a designer you must always take yourself as the starting point in a way. 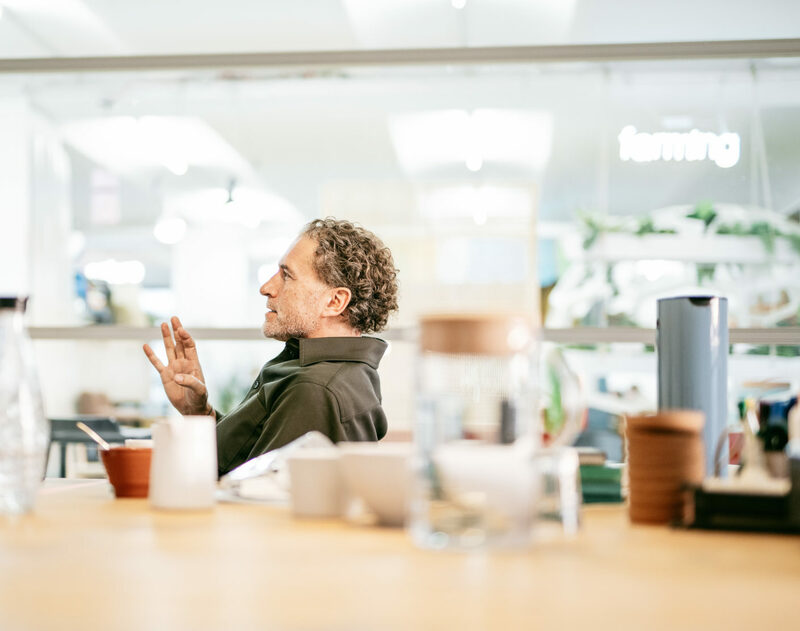 We always set out to imbue our designs with our own feel for life – that’s part of our job. Otherwise we’d simply be carrying out orders. However, we also have to remember that our creative everyday lives in Berlin are not representative of the rest of the world, too. Meaning you mustn’t take things too far. We didn’t want to be younger and hipper than the hipsters in Kreuzberg. Conversely, we don’t want our design to be more nouveau riche than some of the Italian brands, where everything is so overly Hollywoodish. Rolf Benz is a brand defined by its clarity, delivering outstanding quality at a good price and not spotlighting showcase pieces. 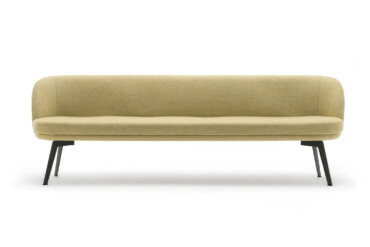 What do you think is the special challenge in designing a sofa? Werner Aisslinger: Sofas are used quite differently now than they were only 20 years ago. In the 1970s, your guests sat on it and you served them finger food; today it tends to be a place to which you can retreat. If you have friends round to eat or maybe to cook together, then you sit around the dining table. By contrast, the sofa is at best a semi-public place, a refuge for the family where you can relax together, but likewise work or check your emails. This private character definitely also had to inform the design. How should a sofa fit into an interior today? And what sort of interior should one assume is involved? Presumably no longer a coffee table and a wall-to-wall cupboard? 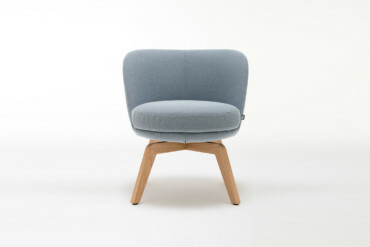 Werner Aisslinger: I think the most important property of any item of furniture today is that it can fit into a collage. The emphasis is no longer on styles and worlds of color. Relationships have become more inconsistent than 30 years ago. Meaning that people today more frequently meet others who bring furniture or objects into the relationship. A lot gets inherited. Your grandma gives you some strange old cupboard or other. Or possibly you buy yourself a piece of vintage furniture at a flea market. Everyone travels a lot and everyone brings back mementos. 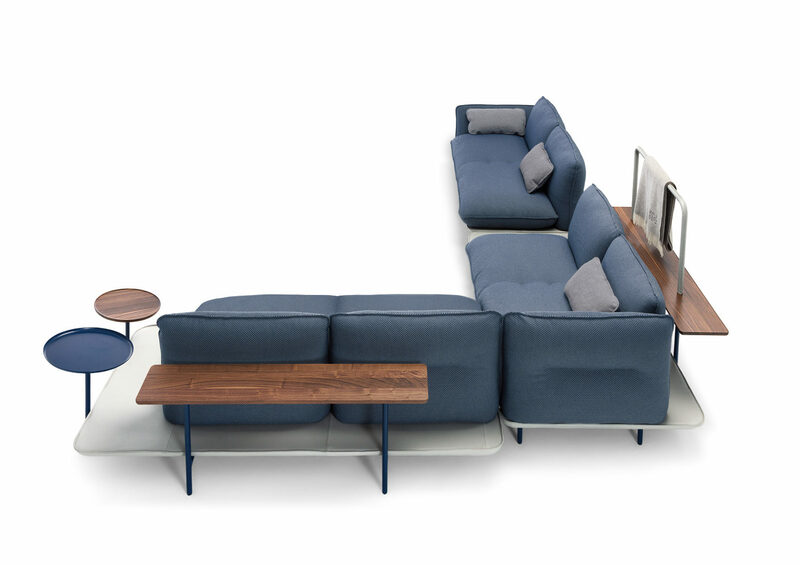 Life is a collage, which is why furniture must be able to fit into such collages – and that includes a sofa for Rolf Benz. In addition to the sofa "Rolf Benz ADDIT" you have also designed small tables and carpets. What was your design approach here? Werner Aisslinger: At the tables we have taken up the graceful tubular frame of the sofa. The elegant cast aluminium joints also reappear here. However, we have combined these metal elements with a different material from the sofa - coloured glass. 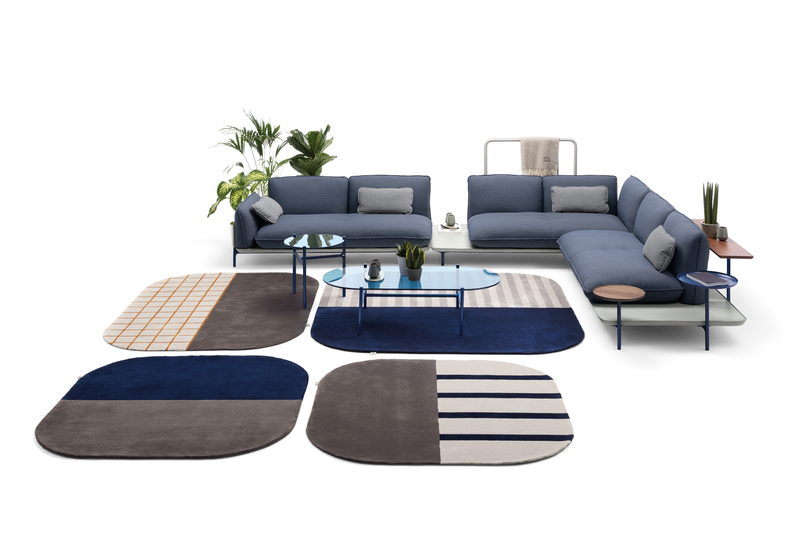 With their geometric decor, the carpets repeat the elementary forms that also determine the shape of the sofa and the tables, but translate them into the surface. And they create a clearly readable zone room around the sofa. For us, these complementary products were a wonderful opportunity to curate the setting of our design. In this way we were able to clearly distribute the roles. Tables and carpets should radiate calm and not steal the show from the sofa as the main actor. 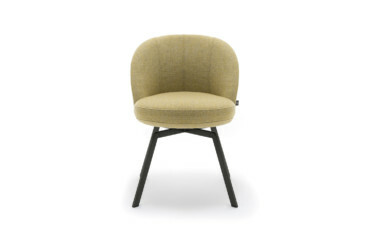 Rolf Benz can be found in Milan at the Salone del Mobile 2019 in Hall 5, Booth B03-B04. 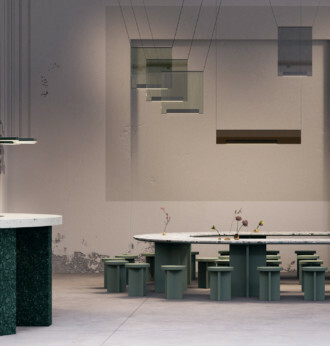 Image Gallery Making-of "Rolf Benz Addit"
Surrounding the Salone del Mobile: these are the highlights of Milan Design Week 2019 you should definitely not miss. 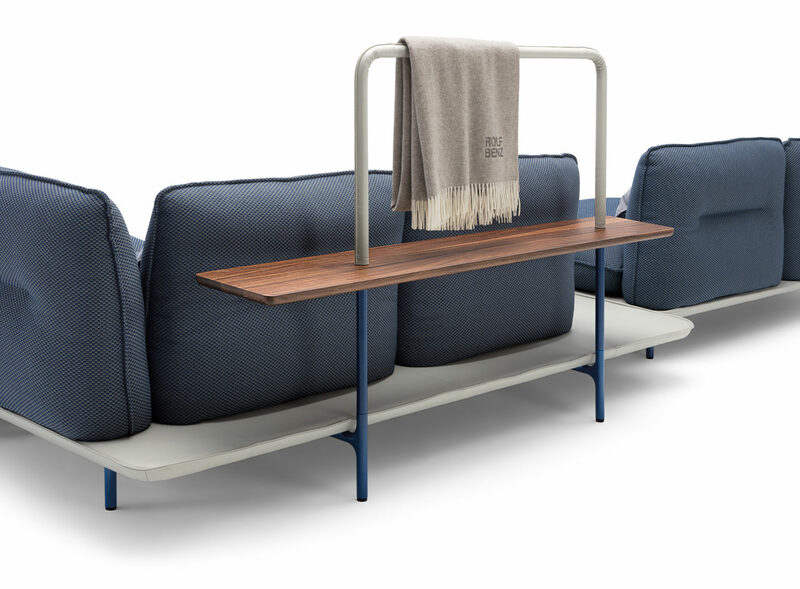 For a bar Werner Aisslinger designed in Zurich Rolf Benz contributed customized sofas that bring to mind the one or other hard landing back in your school days.